Just came back from a rare outing to a MOVIE! "The Kings Speech." Incredible and amazing character acting. True talent. All the more moving of course for it's (apparent) authenticity and beautifully human portrayals. And then, even more rare, out to dinner apres movie, complete with dessert. Thanks Carleen, that was fun! And you are right, it would not have happened had we planned it. I think I am over trying to get the 'flu now. 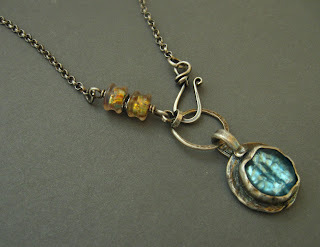 I curled up in a blanket on my studio floor much of the afternoon watching Annabel bead earrings, bracelet and necklace for Grandma. When you are 5 you need mom close by to do the finish work on your beading projects...... : ) And, I needed a good excuse to, well, curl up in a blanket and veg. More pieces rolling out! 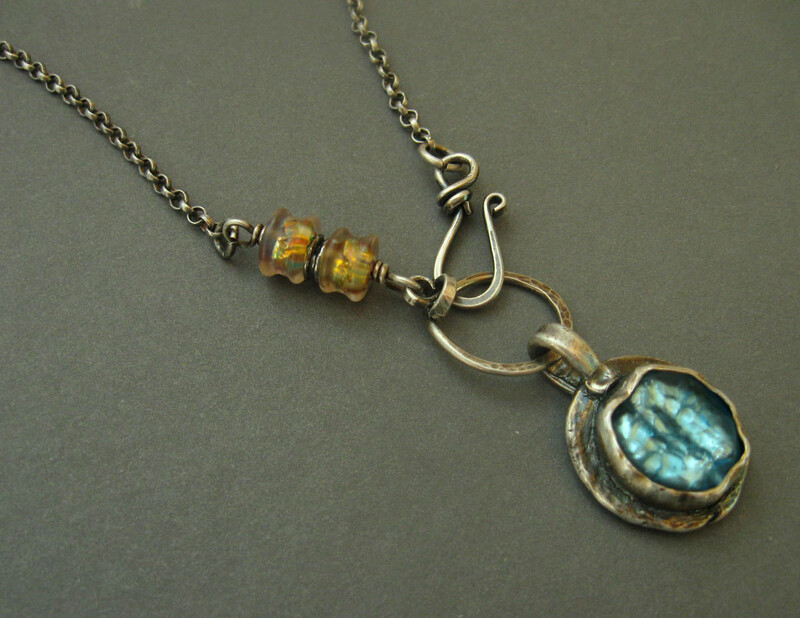 The necklace has been in the works for a long time - the setting lay languishing on the bench waiting for me to finish it and set the stone. The design appeared one day. 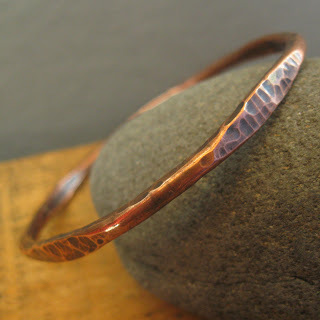 I just love the heavy copper of the bangle. It is such a rich, warm color.